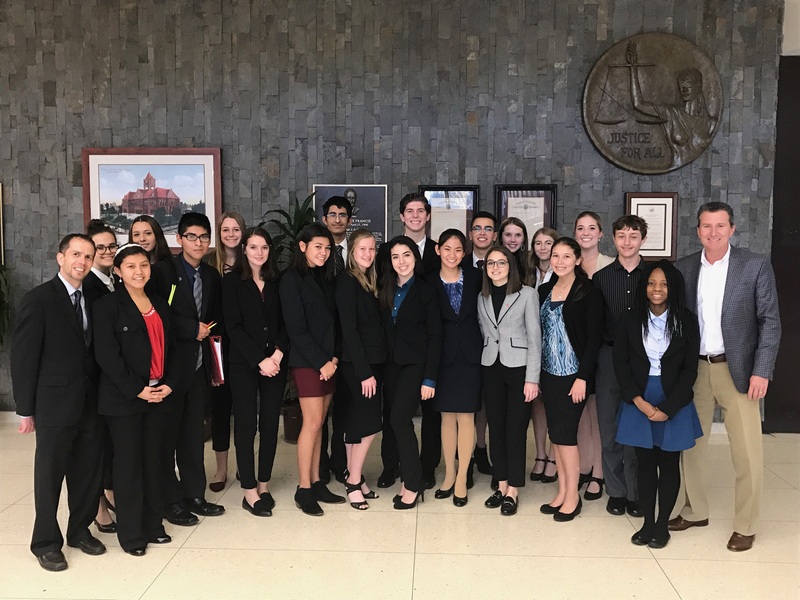 The Trabuco Hills High School mock trial team won the Constitutional Rights Foundation’s Orange County High School Mock Trial Competition Saturday and will go on to represent the county at the state finals in March. Finishing with a perfect 8-0 record on the season, the squad from Mission Viejo ended the run of OCDE’s Pacific Coast High School and advanced past 47 other high schools in the county to take the title. Spangler additionally credited Jeff Blank of the firm Garcia Rainey Blank & Bowerbank LLP, who donated countless hours to prepping the team for trial as the team’s volunteer attorney coach. Held at the county, state and national levels, mock trial contests challenge high school teams to argue hypothetical criminal cases, casting students as members of the prosecution or the defense. Trabuco Hills, which is in Saddleback Valley Unified School District, will now begin preparing for the state final in March in Riverside at the Hall of Justice and Historic Courthouse.